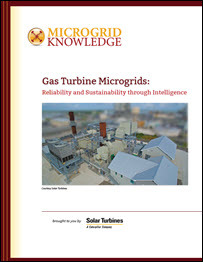 Gas turbine microgrids in Alaska and Australia offer mirror images of microgrid capabilities, as we explain in this excerpt from Gas Turbine Microgrids: Reliability and Sustainability through Intelligence. One of the benefits of gas turbine microgrids is their ability to ‘island’ electrical operations from the surrounding grid. In Sitka, Alaska, the grid is always islanded. The city is the grid, and the city—the largest in the United States in terms of area—occupies most of Baranof Island. 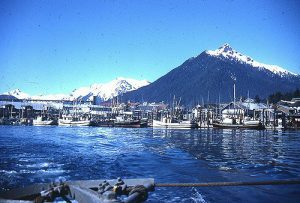 Baranof Island is not electrically connected to the mainland, so all the power for Sitka’s roughly 9,000 inhabitants is produced locally. The power comes from two hydroelectric plants, which give this city on Alaska’s pristine Panhandle the distinction of deriving nearly 100 percent of its energy from renewable resources. Hydropower may be the most reliable and least intermittent of renewable resources, but no power source is perfect. And on an island grid that is an important consideration. Occasionally a tree or a tree limb falls on an electrical wire and trips off one of Sitka’s two hydropower plants. When that happens—and it is not an infrequent occurrence—Sitka’s gas-fired turbine kicks in. Sitka ordered the gas turbine from Solar Turbines, a Titan™ 130 modular power plant, back in 2013 when it was facing a growing need for electric power. Back then, oil prices were on the rise, and customers were switching from fuel oil to electric heat. To meet that demand, the city embarked on a project to raise the height of its Blue Lake Dam by 83 feet to impound more water and to raise the electrical capacity of the hydropower plant by a little over 50 percent. The city added three hydropower generators, increasing Blue Lake’s capacity by about 16 MW. While the Blue Lake expansion project was under way, Sitka used the gas turbine to fill in as a power source. Because of its high inertia, a gas turbine is capable of adapting to large on-load and off-loads. That enabled Sitka’s gas turbine to provide reliable, stable, and continuous power while the hydroelectric plant was upgraded. When the expansion was completed, the gas turbine shifted into a back-up mode, providing electricity during power outages and emergency situations. Since it was installed, the gas plant has logged about 100 hours of operation. The plant can provide up to 13 MW of electric power to Sitka and its residents, but more importantly, it provides black-start capability. When an unexpected event—such as a downed power line—trips one of Sitka’s hydropower plants offline, the gas turbine turns on and provides frequency regulation and voltage control to stabilize the grid, which would otherwise be in danger of collapse. In addition to providing critical back-up and black-start capability, the plant also is a good fit environmentally. Sitka is in the Tongass National Forest, the largest temperate rain forest in the world, and exhaust emissions are a critical concern. The Solar Turbines plant uses a lean premix combustion system, SoLoNOx, for its turbines, in which the fuel is burned with a surplus of air, producing less nitrogen oxide. That also helps reduce the plant’s footprint because it eliminates the need for selective catalytic reduction (SCR)emission control technology. 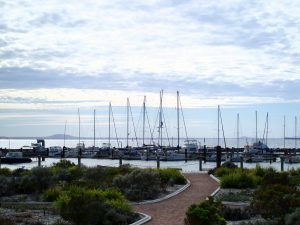 On the other side of the globe, the City of Esperance, Australia, also operates in isolation. It is not on an island, but it might as well be. The city sits on the south coast of Western Australia State, but is not connected to the grid. Esperance is also the home of A ustralia’s first wind farm. The Salmon Beach Wind Farm began operating in 1987, but was decommissioned 15 years later because of urban encroachment. It was replaced by the Ten Mile Lagoon and Nine Mile Beach wind farms. Together they can provide nearly 25 percent of Esperance’s electricity. Unlike hydropower, however, wind power is not reliable. The primary source of power in the region, an area that extends about 80 miles from the city, comes from gas turbines, the 38.5-MW Esperance Power Station. The Esperance Power Station comprises seven Solar Turbines Taurus™ 60 gas turbines generators. The gas turbines are the “backbone” of the Esperance grid, says Bowen. They also are a mirror image of the role the gas turbine plays in Sitka, which runs only when needed. In Esperance, the gas turbines are baseload and play a supporting role for renewable power. “The wind farm is set up to run uninhibited at all times to get the most out of the wind,” but it is always backed up by a gas turbine, says Bowen. And, as he notes, the wind power lowers overall system costs by reducing the amount of gas needed to run the turbines. 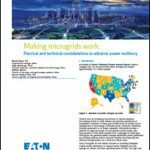 Gas Turbine Microgrids: Reliability and Sustainability through Intelligence is provided as a free download, courtesy of Solar Turbines. 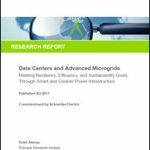 Gas Turbine Microgrids: What’s Next as They Become Smarter?